Kelly received her BHS in physical therapy and MA in gerontology. She worked in acute care physical therapy at Barnes-Jewish Hospital for 7 years. 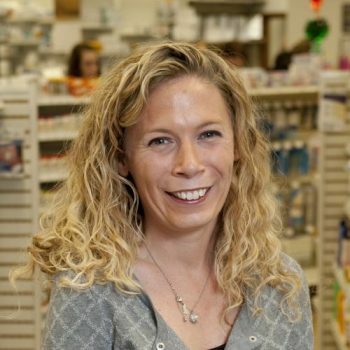 She has been the D&H home medical equipment accreditation representative since 2006. While she does not treat physical therapy patients at D&H, she does concentrate on maintaining the home medical equipment accreditation status (which we were initially granted in 2008). We were successfully re-accredited in 2011 and each accreditation survey is good for 3 years. Kelly is married to Greg Della Rocca and they have two children and one dog.